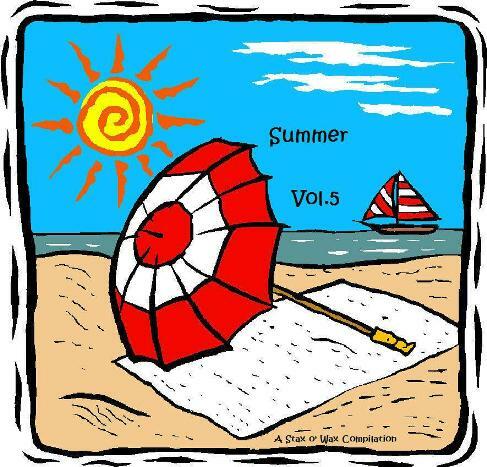 It's time for my annual summer songs compilation! The first day of summer is not for two days yet, but it's felt like summer for a few weeks already! It's already hit the three digit temperatures in Dallas, Texas! The hot temps don't bother me though, as summer is my very favorite season, and I am glad it's here! 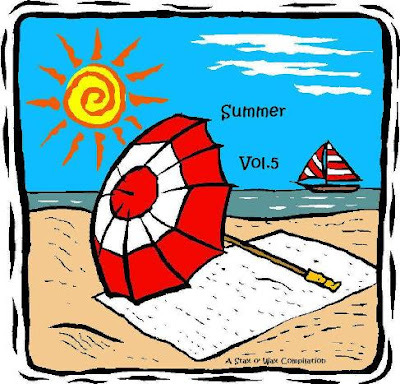 The first three summer compilations contained only songs with the word "summer" in the title, but last year I expanded the song choices to include the words "beach", "surf", and "sun". Please do post a comment with other summer song suggestions that I can use in future compilations. Hope you enjoy this! If you haven't downloaded the first four volumes of my Summer compilations, click on the "summer" label to take you directly to those posts. Happy Summer! This is another of my recent purchases, although I can't remember if I got it from my v.o. instructor or from the HPB bargain bin. Either way, I'm glad I got it because I thoroughly enjoyed it. 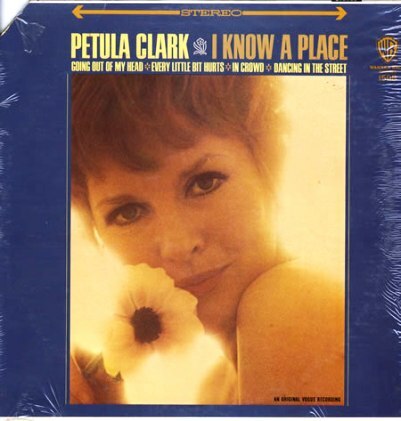 Petula Clark is one of those singers who transports me back to the 1960s just by the sound of her voice, and I really liked what I can remember of the 60s (my early childhood). There are some good songs on this album, and some of them are quite danceable! Enjoy! Here's an album that goes well with the Slim Whitman album! 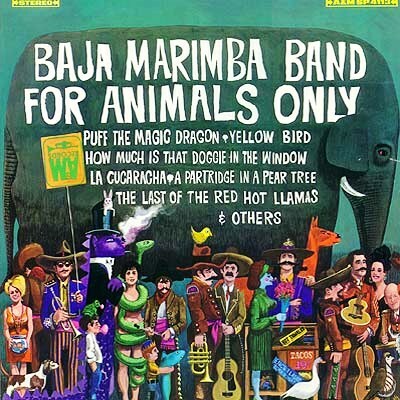 I remember the TV commercials for this album. I never would have thought that I would end up getting it! After I got the Slim Whitman album a few weeks ago, I went in search of the Boxcar Willie album, and I found it in the HPB bargain bin! 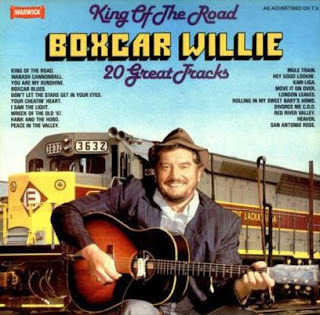 There's no yodeling on this one, and Boxcar Willie doesn't have the nice hair that Slim Whitman has, but I enjoyed it. Also, Boxcar Willie was from Ellis County, Texas, which is just south of Dallas! I also found out that he was Tommy Lee Jones' first cousin. (Throwing in some trivia for you there.) I had a nice surprise when I heard the song "I Saw the Light" on this album. It brought back memories of being in choir at school from 7th through 9th grades. That was one of the songs we sang regularly, and I hadn't thought of it in a long time. Enjoy! Here's another treasure that I got from my voice-over instructor! This is the record I was most excited about, too! I never thought I would be excited to get a Slim Whitman record. I think I've become a fan because it brings back good memories from my youth. I remember when his commercial came on TV where he advertised this album. Usually, it would come on late night when my mom and I were watching old movies. We always got a kick from the commercial, especially when they showed him singing "Vaya Con Dios". Neither one of us had ever heard of Slim Whitman, and we weren't fans of country music, so we just thought the commercial was funny. As the years have gone by, I have developed a very eclectic taste in music, and just LOVE Slim Whitman now! I especially like when he yodels (I've become a yodeling fan in the last year). I hadn't seen this album in years, and the first thing I asked my v.o. 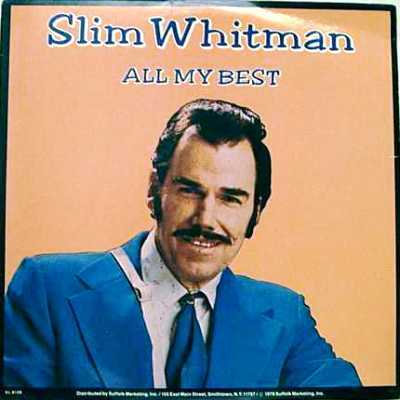 instructor was if he had any albums by Slim Whitman. He said no (but he obviously knew he did), and he was just tickled when he saw my reaction at finding the album in the stack. So, even though my mom and I never listened to Slim back in the day, this album brings back good memories of spending time with my mom. I hope you enjoy this as much as I do! This is one of the treasures I bought from my voice-over instructor. 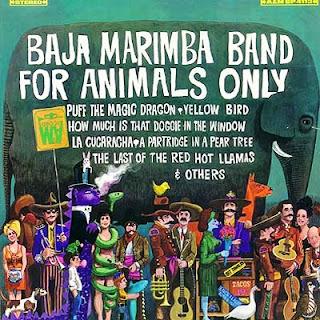 It's a cute album - all the songs have animals in them. I hadn't heard some of them before, but overall I was pleased. 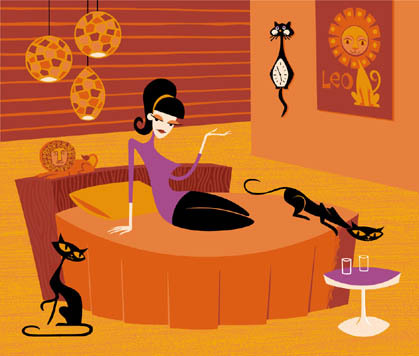 It's just a nice easy-listening record to listen to while having dinner or trying to relax. I hope you enjoy it! Just spent a little time meditating in my Hawaiian-themed guest room, which left me in a Hawaiian state of mind, so I decided to share this one with you today. I do love Tommy Garrett and this album is a delight (love the cover art, too!). 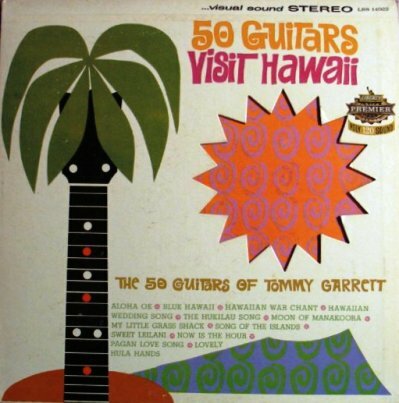 It has the usual selection of Hawaiian songs, including my very favorite, "Hawaiian War Chant". I don't know what it is about that song that just makes me get up and dance! (I'm just grateful that no one is around to videotape me.) So, put on your Hawaiian skirt and dance like no one is watching!